Well my first of two Wolfman's is in the den. 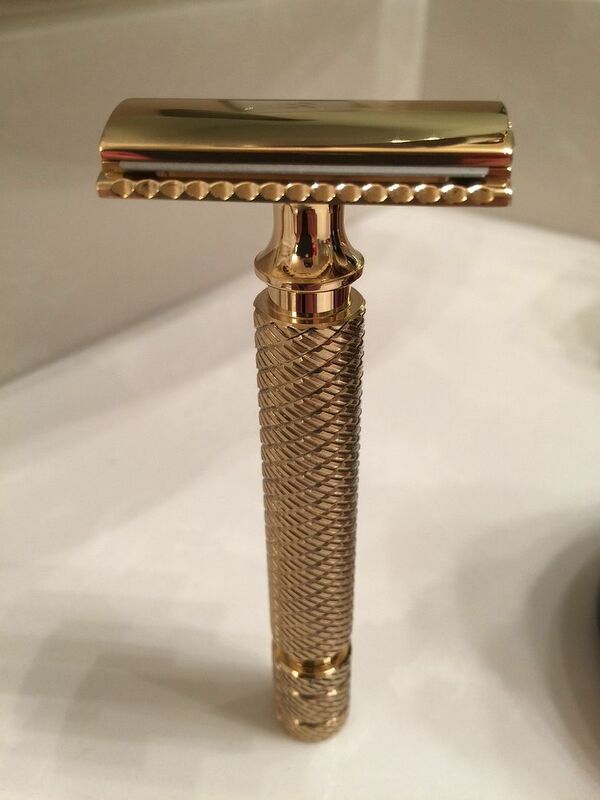 Gorgeous polished brass razor. A work of art. That's a nice looking razor. I assume you waited a long time for it too. The wait was worth it. Have a second on the way as well...stainless with a wider gap. (05-17-2016, 02:28 AM)TXFIVEO Wrote: The wait was worth it. Have a second on the way as well...stainless with a wider gap. Very nice. Did you have to order both at the same time and he just ships them as they are ready? I haven't ordered one before and not familiar with the process. Ordered separate. Polished brass today and the one on the way stainless with my preferred Wolfman handle, stand, and leather case. Okay, first shave was done. Very efficient with great audio feedback. Impressive. 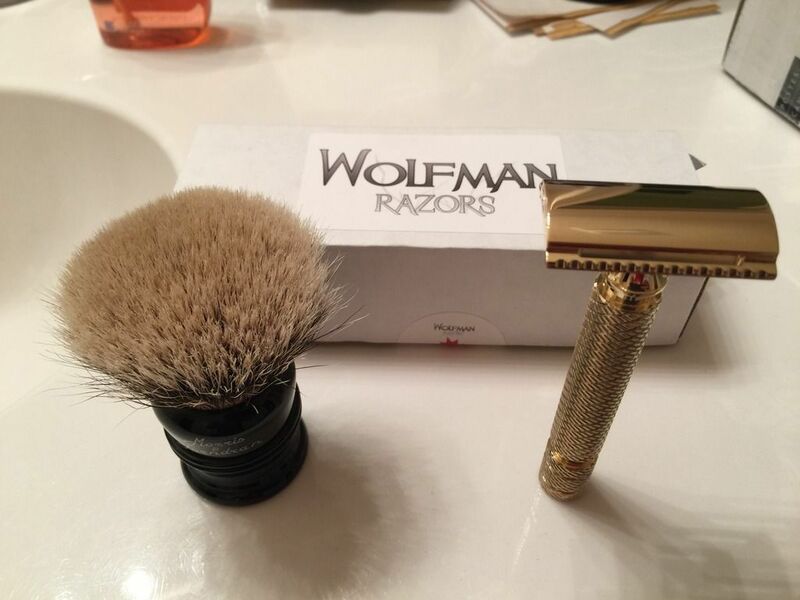 My second Wolfman has a wider gap for a more aggressive shave. For those on the fence...the standard gap provides a great shave. The increased gap will be better! .74mm? Yes, 74mm. Got a WRH4 handle (77mm), stainless steel stand, and leather case as well. Assuming your're in the US, did you have to pay taxes or duties if shipping a Wolfman from Canada to US? When my time comes I'll be using a shipping forwarder located in the US and then have it shipped over to me.